TGIFguide is good friends of many members of the prestigious LA Young Leadership Committee, and we’re excited to invite you to our first event this Spring! 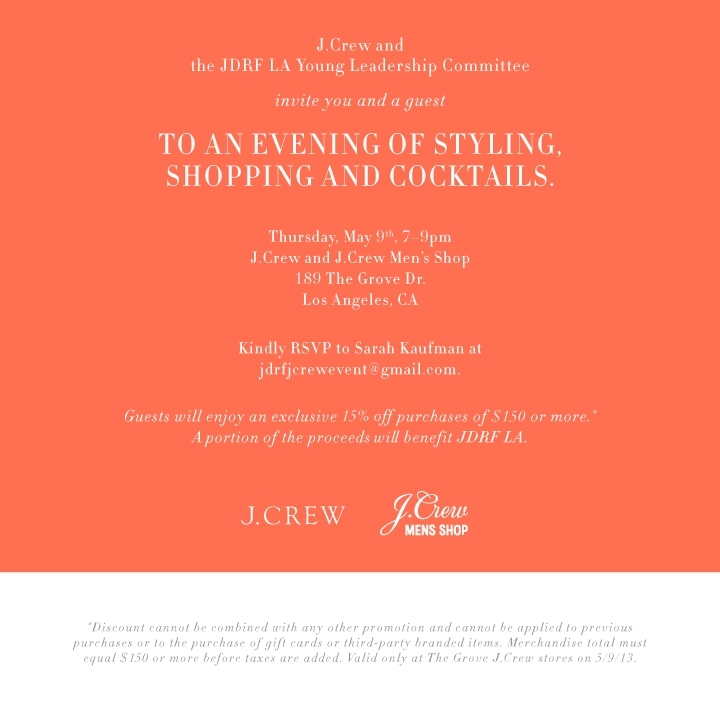 YLC is a group of young professionals in LA who raise money and awareness for JDRF and type 1 diabetes (T1D). T1D affects three million Americans – and seeing the impact of disease firsthand has inspired me to help out in any way that I can. JDRF currently sponsors $530 million dollars of research in 17 countries, and in 2012, was listed by Forbes as one of the top 5 All-Star charitable organizations in the United States. 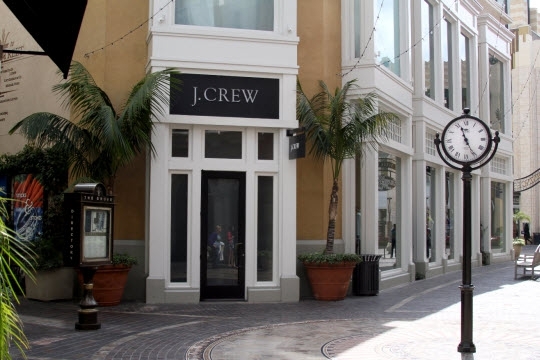 We hope you will be able to join the TGIFguide team and our friends – fellow YLC members, and the many other volunteers as we work towards “A World Without Type 1 Diabetes” for a night of cocktails and shopping with J. Crew’s stylists at The Grove on Thursday, May 9th! To RSVP or if you have any questions regarding the event, email jdrfjcrewevent@gmail.com or Heather at hmoffitt@jdrf.org. Looking forward to seeing you there! Feel free to invite your friends, family, coworkers, or anyone else you think may be interested.